An outstanding new anthology by one of history's greatest orators. 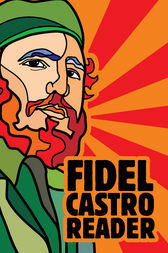 Fidel Castro led a guerrilla movement in Cuba that overthrew the Batista dictatorship in 1959. Since then, the Cuban president has been the nemesis of ten U.S. administrations. He stepped down in 2007 but has regularly expressed his views on world events and political personalities in his famous "reflections." David Deutschmann has edited numerous titles on Cuba, notably "The Che Guevara Reader" and "The Fidel Castro Reader."